A committee of the Continental Congress met at Tun Tavern in Philadelphia to draft a resolution stating that “two Battalions of Marines be raised” for service as landing forces with the fleet. November 10, 1775, the Marine Corps was born. In Hawaiʻi, on March 17, 1941, an act of Congress approved the purchase of a sugar cane field for a Navy hospital. Construction commenced in July. Following the attack on Pearl Harbor on December 7, construction of the planned 1,650-bed facility was rushed to completion. The hospital was commissioned on November 11, 1942, but continued expansion was necessary due to the demands of the war. Known as Aiea Naval Hospital, it was built to serve thousands of WWII wounded Sailors and Marines. As for the capabilities of the hospital, they correlated directly with the war. In 1943, the number of staff and facilities grew tremendously. New wards were constructed to better support the waves of casualties, numbering in the hundreds, arriving from the Solomon, Gilbert and Marshall Islands. On January 1, 1944, Admiral Chester W Nimitz personally presented awards to the many combat-wounded service members at the hospital. Patients were assembled in front of the hospital where 632-men who fought during the Battle of Tarawa received awards. The hospital expanded again in 1944, adding staff and temporary wards to hold up to 5,000-patients. Of the 41,872-admissions in 1944, 39,006 patients were relocated to the mainland or returned to duty. Aiea Naval Hospital had improved efficiency for admitting patients by the time casualties began arriving from Saipan, Guam and Tinian in the Mariana Islands. February and March of 1945 was the hospital’s bloodiest months, when nearly 5,700-servicemen from the battles of Iwo Jima and Okinawa received medical care simultaneously. Until the mid-1980s, there was a bowling alley there, used by Aiea Naval Hospital as therapy for patients injured during WWII and was once the primary rear-area hospital for the Navy and Marine Corps during that war. 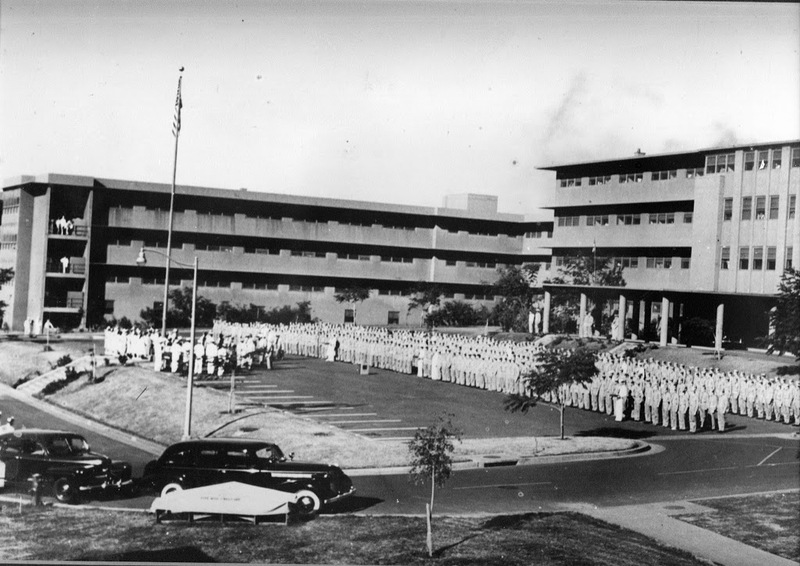 Decommissioned on May 31, 1949, four years after the end of WWII, the hospital was deactivated and the Army and Navy medical assets were moved to what is now Tripler Army Medical Center. A year later, the Territory of Hawaiʻi began plans to claim the old hospital for a tuberculosis sanitarium. However, in 1955 the Marine Corps purchased it for the future home of the Fleet Marine Forces Pacific. 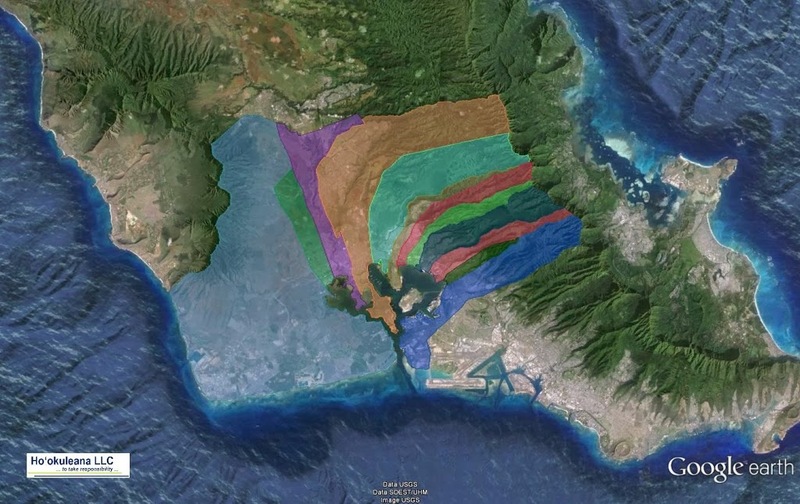 On June 8, 1955, it was renamed Camp HM Smith (named for General Holland McTyeire (HM – nicknamed “Howlin’ Mad”) Smith, the first commanding general of Fleet Marine Force Pacific, it became a strategic command base for the largest field command in the Marine Corps, now known as US Marine Corps Forces, Pacific (MarForPac,) with an area of responsibility covering more than half the Earth’s surface. After purchasing the land, the first Marines arrived in October 1955. The camp did not become fully operational until two weeks before its dedication, January 31, 1956. The new headquarters for the US Pacific Command (USPACOM) located on Camp Smith, accommodating more than 1,350-personnel for the US Pacific Command and the Special Operations Command, Pacific, was recently dedicated. Named the Nimitz-MacArthur Pacific Command Center (NMPCC), the six-story, 274,500-square-foot facility overlooks Honolulu and replaces a nearly 60-year-old structure originally built as a hospital during WWII. The image shows Aiea Naval Hospital (usmc). In addition, I have added other images in a folder of like name in the Photos section on my Facebook and Google+ pages.